Stay in the south of Myanmar, Yangon is the largest and most impressive place in the country where t your dream of Myanmar begins. Its fantastic landscapes, gorgeous historical sites, and vibrant community, all are rolled into one of our Yangon tours & day trips. Our Yangon tours take you to the best sights of Yangon with our recommended tailor-made Yangon itineraries. 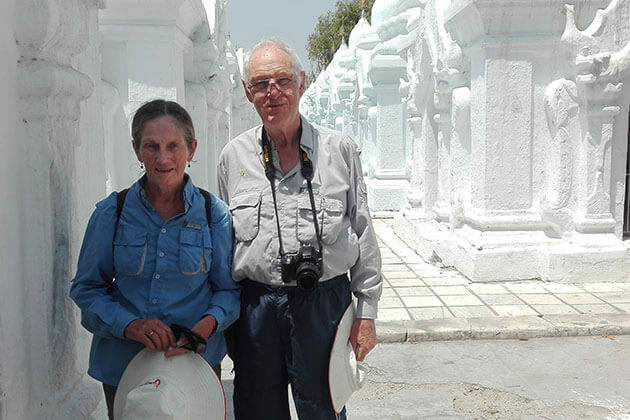 At Go Myanmar Tours, we offer a variety of private, flexible, and unique Yangon tour packages at competitive prices. 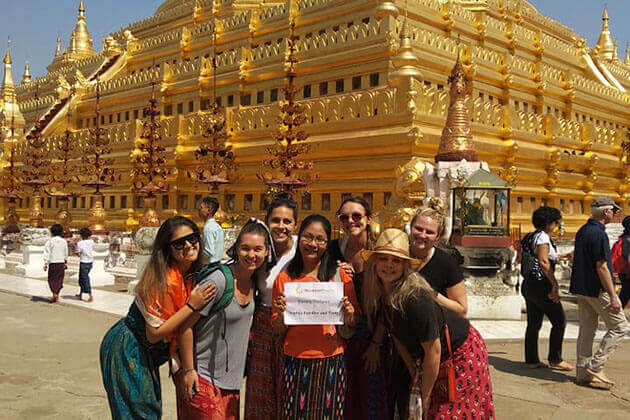 All of our Yangon tours, day trips, and independent routes cater to meet the needs of valued guests from all over the world. 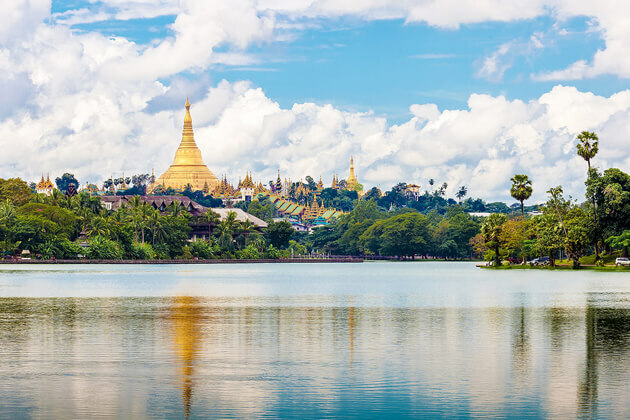 We featured the top 5 best-selling Yangon tour packages that are carefully designed by our Myanmar local travel experts in the first 5 Yangon tour packages as below. The following itineraries are what we think you will love. Chose your ideal Yangon tour and contact us to book or tailor-make your own itinerary that suit you most. 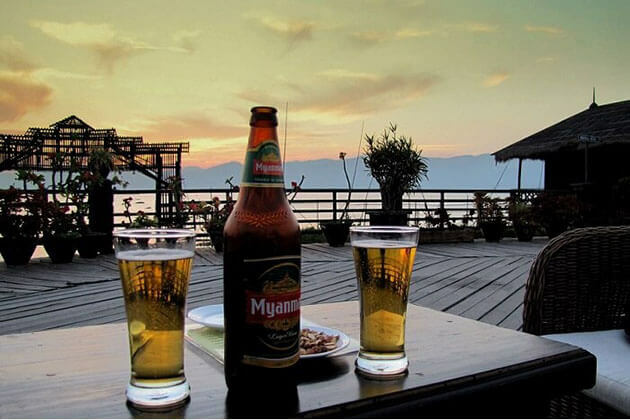 Yangon excursions are gearing up to fulfill your dream! 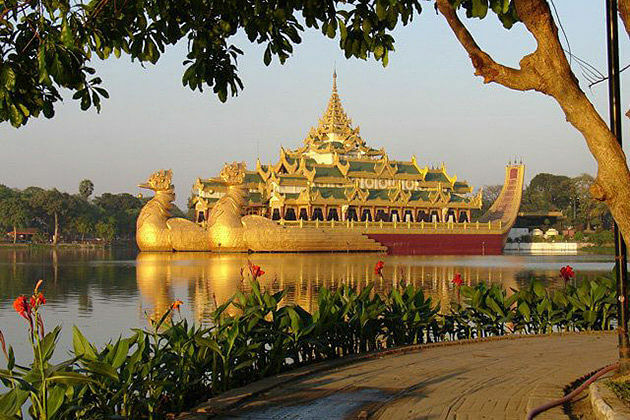 This one day Yangon city tour takes you to the best sites of the former capital of Myanmar. So far, the most exciting place of the country offers visitors with myriads of things to do, see, and taste. This one day trip to Bago from Yangon brings you to the wonders of Bago including Shwe Tha Lyaung Buddha, Shwemawdaw Pagoda, the charming Kya Khet Waii monastery, and more. Being the largest city in Myanmar, Yangon possesses many of the must-try things to do and see in Myanmar Tours. With too many things to offers, our travel expert has made a list of the best things to do in Yangon tours below. Let's check it out! 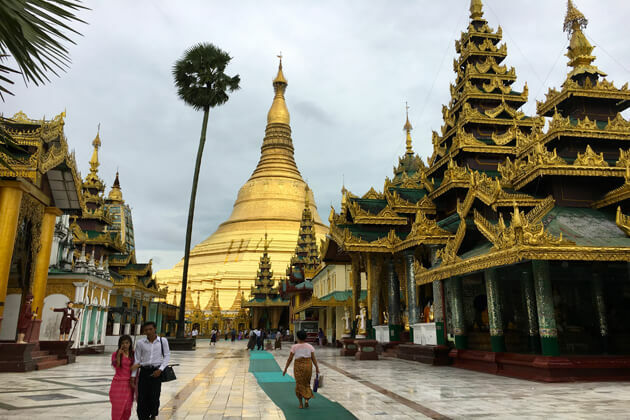 As soon as setting your foot in the city, the first place to look for the most iconic symbol in Yangon tours is the Shwedagon Golden Pagoda. The wonder pagoda is inlaid gold totally and decorated with thousands of gems, rubies, and diamonds sparkling. The Shwedagon Pagoda in Yangon is considered the most sacred pagoda of Myanmar. It owns hundreds of magnificent and splendid towers and is completely gilded. 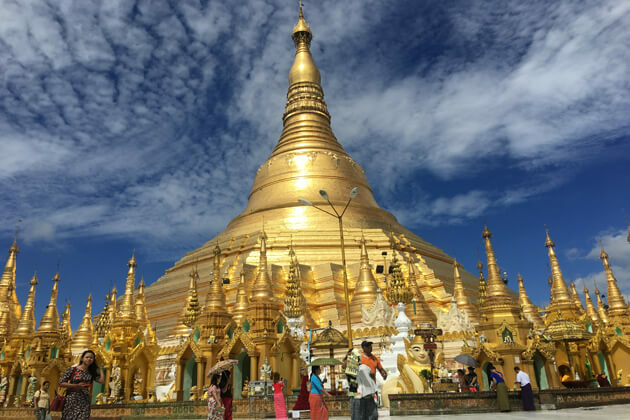 The most tourist time to visit Shwedagon pagoda in Yangon day tours in the afternoon. This time, sunshine can definitely burn your feet when setting foot on the ceramic floor because you have to walk completely barefoot. However, it is the best time to marvel at the radiant hue of the gilded stupas merges into the sky. In addition, tourists in Yangon day trips will discover the pagoda owns four priceless treasures of Buddhism: The staff of Kakusandha, the water filter of Koṇāgamana, a piece of the robe of Kassapa, and eight strands of hair from the head of Gautama. You will be absolutely overwhelmed by the elegance and splendor of Shwedagon Pagoda as you visit it in Yangon tours. After arriving at the sacred Shwedagon Pagoda, another interesting thing to do in Yangon tours is visit Botataung Pagoda. On the side of the river bank, the pagoda was built up over 2.500 years ago with the name meaning of a general in the military. This pagoda has been classified as the highest pagoda of Yangon city. 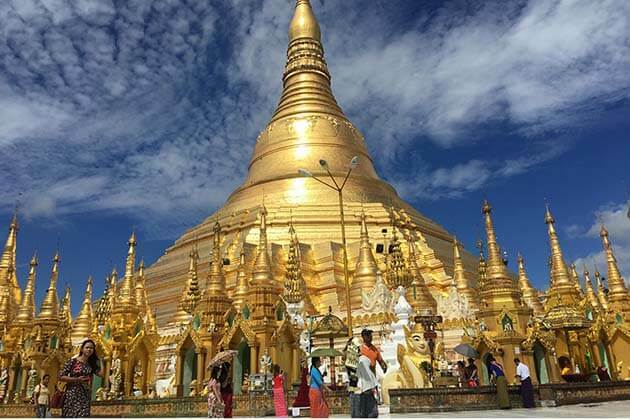 Like other pagodas in Myanmar, tourists visiting Botataung on Yangon tour packages will see the pagoda is gilded with gold perfectly, while the pagoda still preserves an invaluable treasure of Buddha which is the Buddha's hair. Whenever visiting any temples or pagodas in Yangon tours, you need to remove your shoes or sandals outside and dress appropriately and seriously. This is to pay homage to Buddha. Mentioning to the famous places to shop during Myanmar tours in general and Yangon day tours in particular. 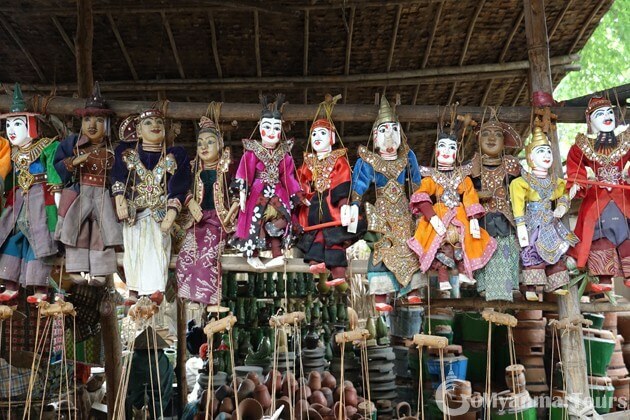 You cannot skip missing the shopping paradise for people is Bogyoke Aung San market. This market in Yangon is not only famous for travelers but also very popular for Burmese people in daily life. Soaking into the vibrant market is an exciting thing to do in Yangon day trips. Lined on Bo Gyoke Road, this market was formerly known as the Scott Market, a relic of British imperialism in Yangon. 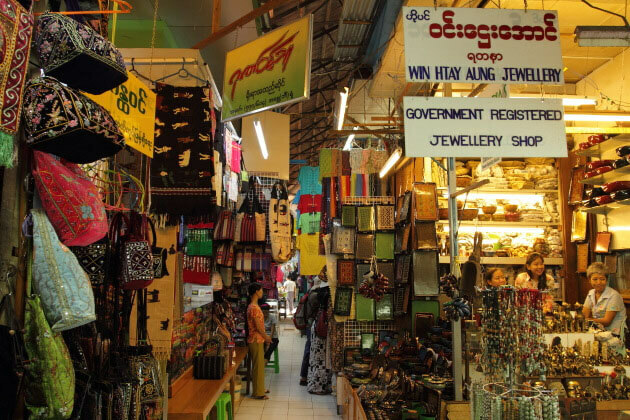 Come here on a Yangon tour package, besides admiring the architecture of the market, tourists from Yangon tours can also buy a lot of beautiful handmade souvenirs such as jewelry, carpets, paintings, wood carvings ...from over 1.641 shops and stores. Bogyoke Aung San Market is taken place to the Thingyan Festival, which is a water festival, usually held on April 11 or 12 yearly. Traveling to Myanmar in Yangon day trips, you can easily see men and women wearing longyi and sandals. 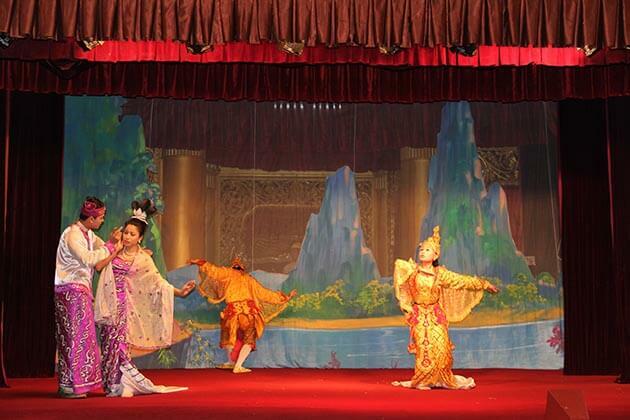 Longyi is the traditional and modern costume of the people here. Men are wrapped in large cloth and knotted in the front, while women are folded up and sewn on the side. 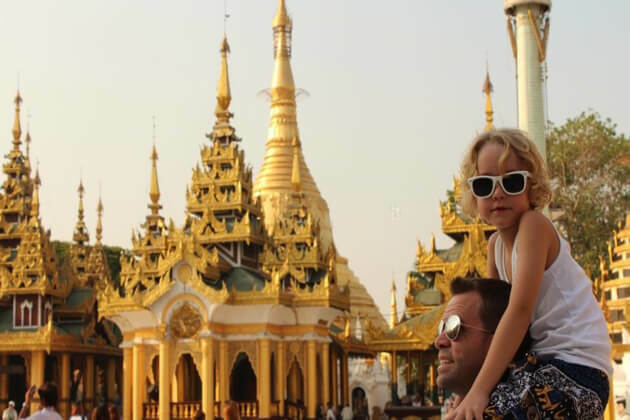 Wearing Myanmar traditional dress during your Yangon sightseeing tour is listed as an awesome thing to do in Yangon that ensures to bring you a great experience. The food of Burmese people in Yangon is diverse and delicious. Savor scrumptious foods is another ideal thing to do in Yangon tour packages. If this is your first experience in Yangon tours, do not miss Mohinga, the well-known dish considered as a national dish of Myanmar. Main ingredients of Mohinga are chickpea powder or crushed-dry rice, crushed garlic, crushed onion, lemongrass, ginger, fish sauce and catfish cooked in a rich sauce and kept hot in tin-pot. Tip: You can find this one in many street vendors when taking a Yangon sightseeing tour. And other interesting dishes you should try in Yangon tours are E Kya Kway (a top choice for breakfast in Yangon), Roti, Nangyi thoke, and Samosa Salad. Also, Koh Pieh, Koh Puo,…etc are wonderful to try in Yangon tours. Moreover, to find out these dainties, you'd better go to some local markets. Additionally, you can easily catch the best street foods from a lot of temporary carts set up by street vendors in Yangon day trips. Enjoy your meal! For a long time, Chinatown has been one of the most popular destinations to visit in Yangon tour packages. Indulge in the vibrant atmosphere in Chinatown is the most exciting thing to do in Yangon day tours. Visiting Chinatown in Yangon tours, you would be amazed and delighted that this one is no less than a miniature China with thousands of clothing shops, household goods, food ... style of the Chinese people. Additionally, the best time to explore this place in Yangon day trips is in the evening. This time, the streets are most lively and crowded, feeling the living space in the town and come to delicious food shops. 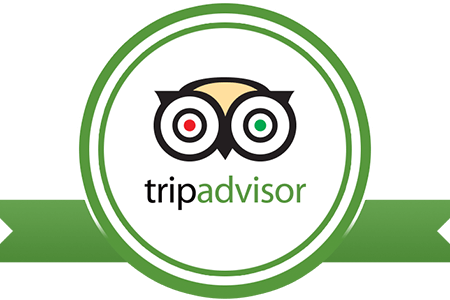 We ensure it will give you an unforgettable experience in your Yangon tour. 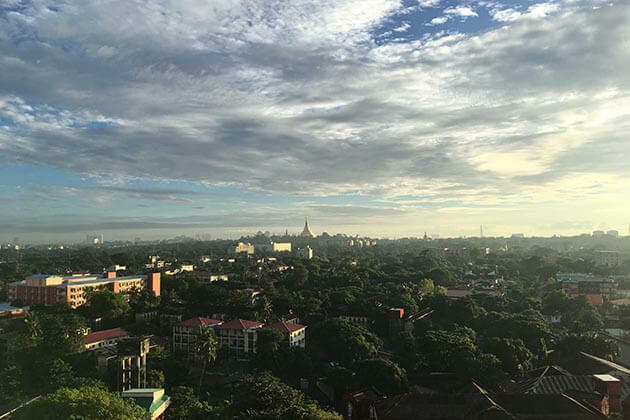 Yangon has a tropical monsoonal climate which makes it hot and humid all year round and is divided into three distinct seasons. Below is some information that can help you choose the best time to take a Yangon tour. Winter in Yangon is unique and different from other countries in the planet since the temperature ranges from 19 to 33°C (66 to 91°F), especially in December and January with the average temperature is 25°C (77°F) during the day. The weather is quite warm for a “normal” winter but it is cooler than the rest of the year in hot and humid Yangon as it is much drier and that is the reason why this is the best time to take a Yangon tour. Another thing which makes this period worth a visit is that Shwedagon Festival has taken place around February or March (based on the Full Moon). 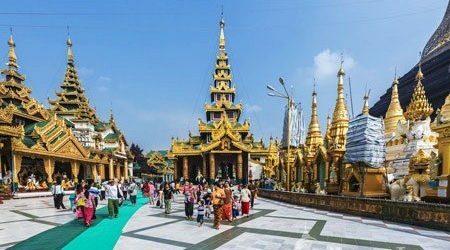 You can get the chance to enjoy the traditional dancing, drama and tasty food around the golden-colored Shwedagon Pagoda – the iconic landmark of Yangon. The dry season lasts from March to May and it is extremely hot and humid especially in April- the hottest month of the year when the temperature can reach up to 40°C (104°F). 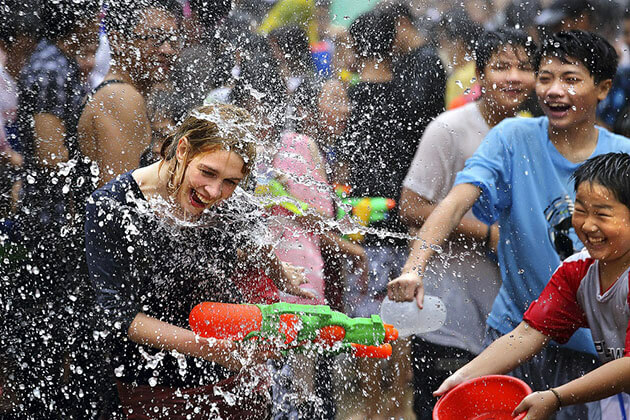 If you decide to travel to Yangon in this period, do not worry, Thingyan Water Festival can cool down your body. This festival celebrates Buddhist New Year, people rush into the streets to throw water at each other that is considered as a symbol of washing away bad luck from the previous year. You will forget the heat immediately and wallow in the funny, effervescent and laughter-filled atmosphere. Located in the south coast, that is why Yangon gets a lot of rainfall and the wettest months are July and August; as a result, the rainy season may not be the best time to explore and take part in the outdoor activities. However, the rainfall tends to occur in short showers, so it is quite easy to find a temporary shelter if it rains when you are outside. Moreover, if you want, you can still take a Yangon tour to sip a coffee or beer in a bar or walk around in a famous museum or construction while the rain is falling outside with the dripping sounds, it is a kind of romance. No matter you travel to Yangon in any seasons, you will find this land peaceful and gorgeous, not only in its charming landscapes but also in the lifestyles of people and the traditional values, that is the reason why makes every season is the best time to visit Yangon. Once taking Yangon tours, you will not be disappointed since this place hides many secret things that are waiting for you to explore someday. People are humble and rustic with friendly smiles on their faces all the time. Getting used to the invasion of tourists who come from all around the world, they are not strange to the multi-cultural environment. Therefore, feel free to ask them if you do not know the roads or need some help, they will wholeheartedly do you a favor without any conditions. Nay Pyi Taw has been the new capital of Myanmar since 2005, however, Yangon (formerly known as Rangoon) is still considered as the cultural and commercial center of this country and almost all visitors admit that they often begin or end their journey to Myanmar in this city. Its irresistible charms will awaken the travel sense of anyone who once put their foot on this mysterious land. In the past, Yangon used to be the capital city since 1885 as the British invaded northern Myanmar and moved the head of government from Mandalay. The city served as a key trading post, as a result, it remains many amazing colonial buildings, presently, many of which are disintegrating and hidden down side streets. However, the biggest and most noticeable concentration is situated on the riverfront Strand Road and around the bottom of Pansodan Street and Sule Pagoda. 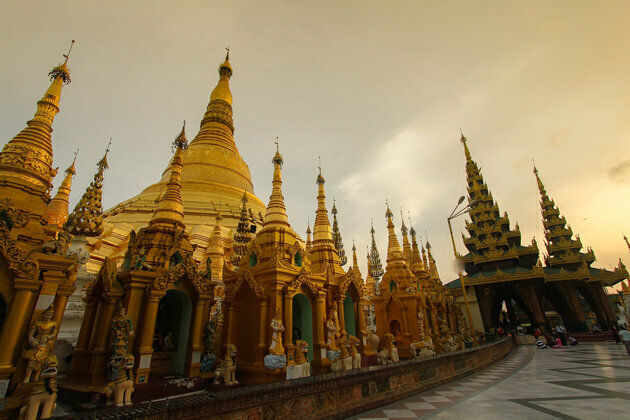 The city also reflects the history of ethnic and religious diversity, especially presented through an out-standing monument – Shwedagon Pagoda, a golden Buddhist shrine that is considered as the most sacred and holiest place in the mind of Burmese. It holds a wide range of museums, art galleries, and markets which are characterized by cultural identities interspersed with the modernity of today world. 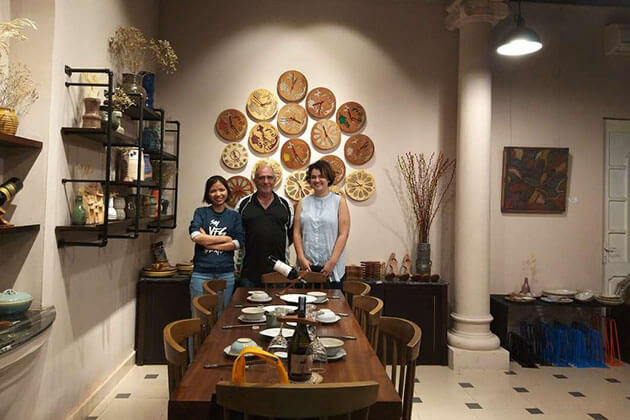 One of the highlights that makes Yangon more attractive is the superb cuisine ranging from the native dishes in the street stalls to the luxurious food showed up in the restaurants. The gastronomy is heavily influenced by some neighboring countries such as Thailand, China, and India which creates various and flavor-filled cuisine. 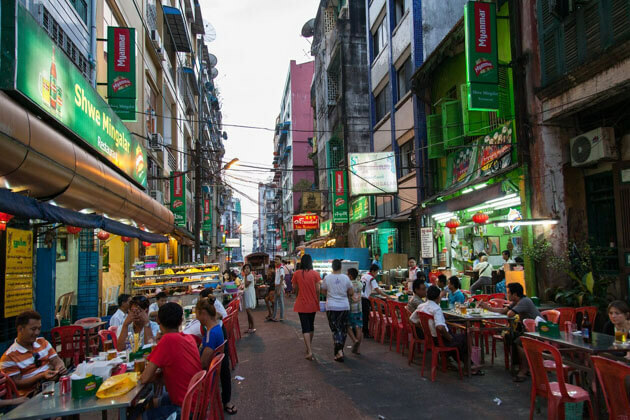 Although Yangon is assumed as one of the safest city in Asia since the robberies seldom occur, the lack of development leads to the low-quality of roads or pavements. When walking down the street, you may be faced with a rat or cockroach passing by and there is often no electricity; however, you will quickly forget these inconvenient things because whatever you do in Yangon, you will find this city friendly and convivial because of the rusticness and hospitality of local people. Myanmar in general and Yangon, in particular, is a land where is strongly influenced by Buddhism with the reserved and humble lifestyles. The indispensable parts of Burmese’s lives are traditional festivals, among which, Shwedagon Pagoda Festival is one of the biggest and most important local festivals of the year which is taken place in late February or early March. Besides, there are several festivals held in Yangon: • Martyr’s Day, which honors sacrificed independence hero Aung San and his comrades (July 19th). • The week-long festival at Kandawgyi Lake that follows Independence Day (starts on January 4th). • The bright-colored and vivid Botataung Pagoda Festival is held at the beginning of January and there are market stalls, fairground rides with alarming human-powered Ferris wheels to attract visitors. Myanmar in general and Yangon, in particular, is a new land which has recently opened to the world, so it remains the practices and customs that people do not know about. It is necessary for tourists to be aware of the do’s and don’ts when taking Yangon tours to avoid the conveniences and have a perfect trip. Here are some tips for travelers to follow when being in Yangon tours. • Most public bathrooms do not have toilet paper. Do not forget to bring tissue papers with you • Do not leave expensive items in your room when you are going out. Put them in a safety box • Drink only bottled water, or unopened drinks • Comprehensive travel and medical insurance is suggested and should include emergency air evacuation and cover the activities that you will take part in. 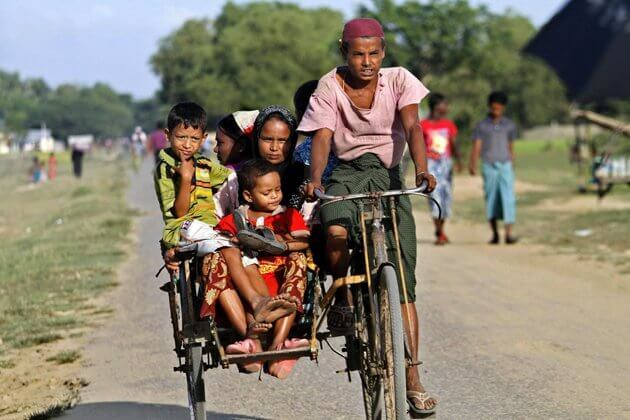 Myanmar Posts and Telecommunication (MPT) sells email accounts and Internet access. In the center of Yangon, there are several Internet Café where visitors can sip a cup of coffee or tea while surfing the Internet to entertain. The service charges may range from 650 Ks to 1000 Ks per hour, depending on different Cyber Café. 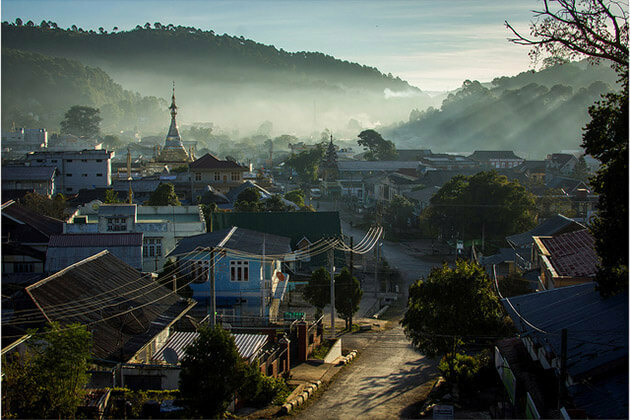 Money Order service is offered in the capitals of each state in Myanmar, the maximum amount is 100,000 Ks per remittance. General Post Office situated in downtown of Yangon is the staple Parcel Service center in Yangon. Yangon Telegraph Office provides customers with fax services to 88 overseas countries. The domestic fax lines are also widely used in Yangon. 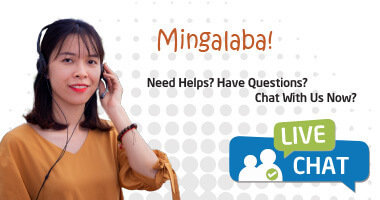 There are three main types of phone services in Yangon that are Conventional Phones or Land Phones, Mobile Phones and IP Star Phones. Abroad calls are available but quite expensive depending on the distance which the calls are made. You can easily catch taxis in Yangon as they are always available during the day and night. Do not forget to tell the driver the place you want to go and ask for the price before starting the journey. 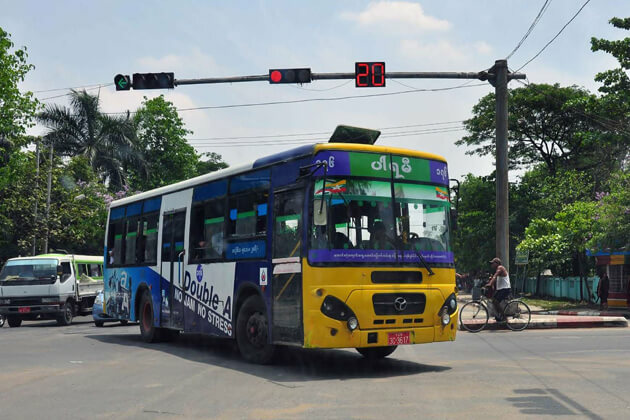 Yangon has more than 250 bus lines with over 2.5 million commuters a day. Lately, a new fuel has been used to operate buses which are CNG (Compressed Natural Gas). The bus fares may range from 40 Ks to 120 Ks depending on the distance which the travelers take. There are 11 local trains which are always available for circular train services through 37 railway stations. The train fares are low-priced than the bus fares and Yangon Central Railways Station is the main one in Yangon. If you want to depart from Dala and cross Yangon River, it takes about 10 minutes to travel by a ferry boat which steams between Pansodan Warf and Dala Warf. There are two highway bus terminals which are Dagon Ayeyar Highway Bus Terminal and Aung Mingalar Highway Bus Terminal. Dagon Ayeyar is reserved for the buses going to Ayeyarwaddy Division and Aung Mingalar is for the buses heading to the cities and towns over the country except for the Ayeyarwaddy Division. Myanmar Railways offer 40 train routes all over the country and the tickets are available at Yangon Central Railway Station. Ayeyarwaddy Delta region is where boat services are available 24/7 and tickets are sold at Lan Thit Jetty in Seikkan Township. Yangon International Airport provides travelers with both international and domestic flights accompanied by the best services and conveniences. There are 4 domestic airlines which are Myanmar Airways, Air Bagan, Air Mandalay and Yangon Airways with the same high-quality and economized fares. 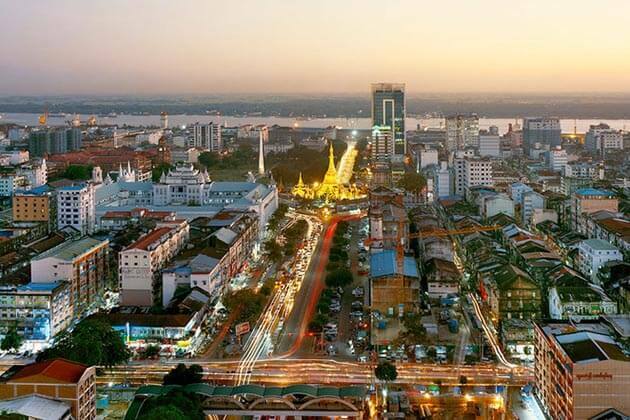 Yangon is actually one of the safest cities in the world with almost no crimes against tourists. 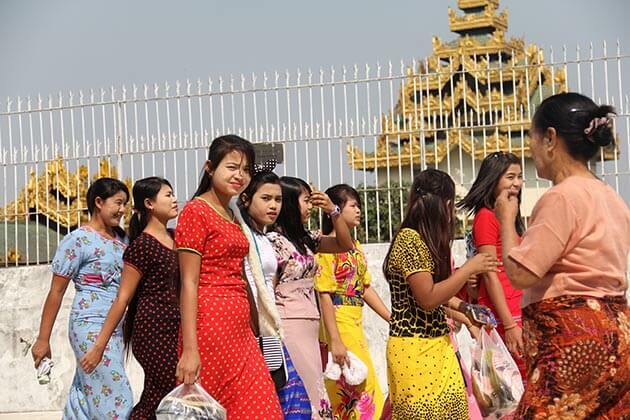 Most visitor, especially female travelers do not to be worried when taking Yangon tours. Even carrying a large sum of cash and walking down the dark and deserted streets at night, is not a problem; however, you had better be careful and take the precautions if you would carry valuable or expensive things like jewels or smartphones as there were some rare accidents happened before. Homosexuality is illegal in Myanmar according to the law; however gay travelers do not have any special problems if they are polite and appropriately behave when taking Yangon tours. Public displays of affection are not accepted so it is necessary to be reserved and modest.